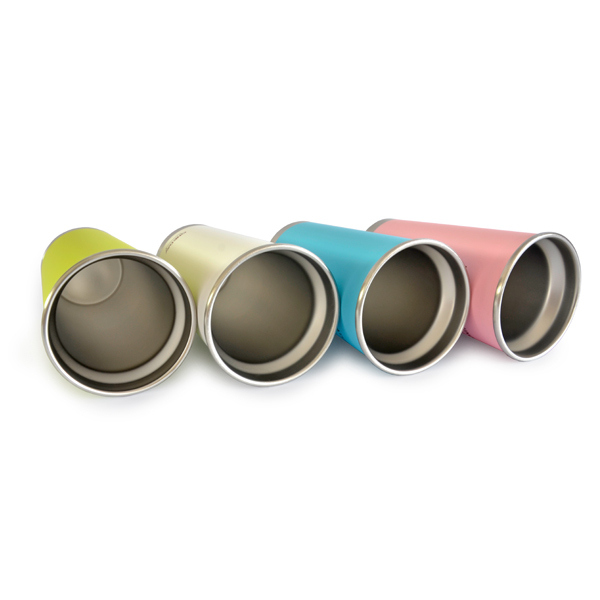 This Stainless Steel Double Wall Heat Insulated Cup keeps hot drinks warm and cold drinks cool. The insulation virtually eliminates temperature change by creating an airless vacuum space between two stainless steel walls. The result is an insulation layer that performs better than any other. 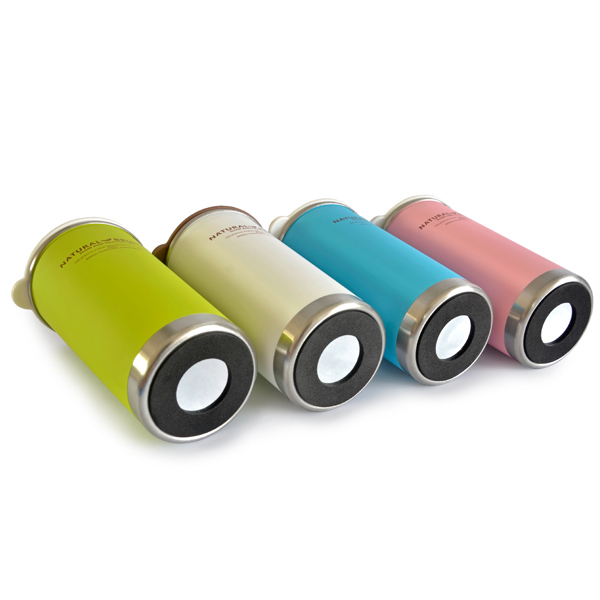 A superior insulated container you can depend on to keep your beverages hotter, colder, fresher, longer. 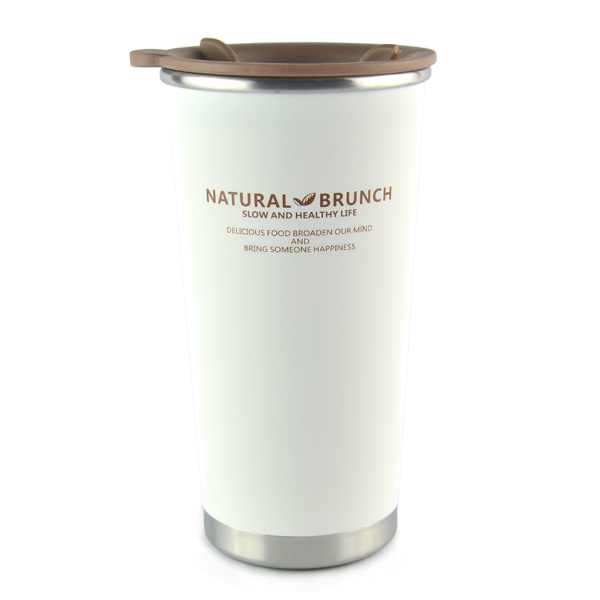 Non-slip base ensures that your mug will stay in place. Cup body made with stainless steel. Lid made with Polypropylene (PP) (recyclable and has the number "5" as its resin identification code) plastic (safe temperature range: -20°C to 140°C (-4°F to 284°F)). Packaging made with recycled paper. 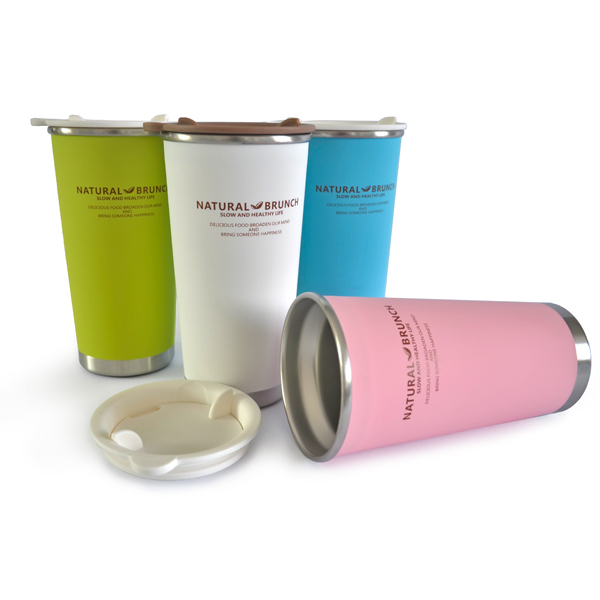 Replaces wasteful, single-use paper and styrofoam coffee cups and use-and-toss single serving plastic beverage containers, saving you money in the process. Furthermore, stainless steel is a sustainable material, having a long service life, usability in a number of applications and is environmentally friendly. Stainless steel needs less maintenance and its hygienic qualities means that we do not have to use harsh cleaners to get a clean surface. Do not use bleach or cleaners containing chlorine to clean the cup. The outer part should be wash by using non scratch kitchen sponge. Wash and rinse cup thoroughly after each use and thoroughly dry. DO NOT freeze stainless steel cup. The force of liquids expanding as they freeze can cause this stainless steel to become deformed and can also break the weld that holds the bottle together. Material： Stainless Steel, Polypropylene (PP) (recyclable and has the number "5" as its resin identification code)?